NIST's fire research develops, verifies and utilizes measurements and predictive methods to quantify the behavior of fire and means to reduce the impact of fire on people, property and the environment. Fire testing may have started some 2.5 million years ago when one of our ancestors stuck his hand into the first flame and “scientifically” determined that the temperature was too hot to bear. Since that primitive beginning, humans have been on an unending quest to understand, measure and exploit the behavior of fire—and most importantly, to improve our ability to protect life and property from its ravages. Fire testing at NIST, a staple of the agency’s research since the early 1900s, has helped provide much of the data, insights and knowledge demanded by that pursuit. Research has run covered everything from fire safety engineering and fire fighting to fire investigation and fire testing to fire data management and intentional burning. 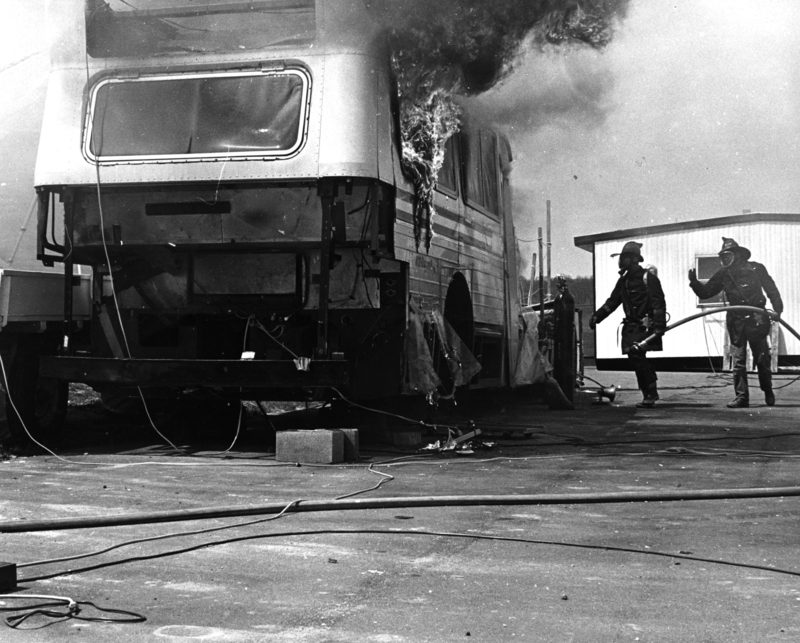 In 1975, NIST conducted three full-scale tests of fire and smoke behavior in a Washington (D.C.) Metropolitan Transit Authority bus after a series of suspected arson incidents. Opened in 2015, NIST’s National Fire Research Laboratory is a unique experimental facility for understanding fire behavior and structural response to fire. NFRL researchers can study entire homes, offices, bridges, and other structures up to 9 meters (30 feet) in height, as well as the impact of fire on new construction materials and methods. The National Fire Research Laboratory aims to make buildings better and safer. Learn more about how it came about and what makes it unique in this feature story.